Casale Cisternino is a reception room between Foggia and Manfredonia, a green oasis recently restored, this restaurant distinguishes itself for the elegance and the style of its rooms, that are more welcoming and comfortable thanks to the well finished furniture. 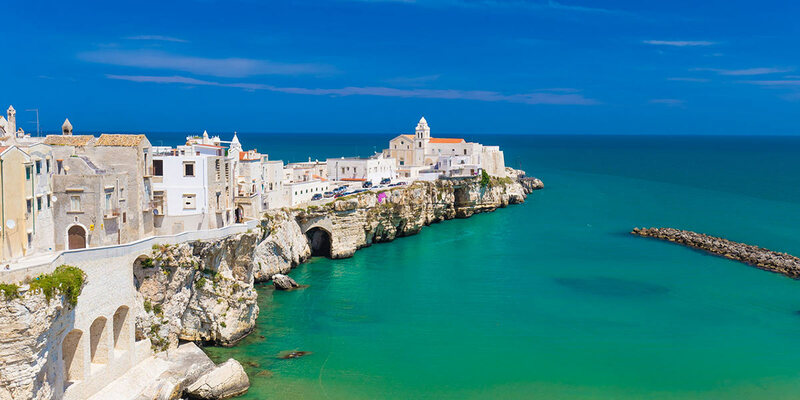 More known as a vacation or a pilgrimage destination, the Gargano promontory recalls the idea of sun, white houses and holidays, to be spent in Peschici, Vieste, the Foresta Umbra, the Tremiti Islands, among the most typical areas in Italy. 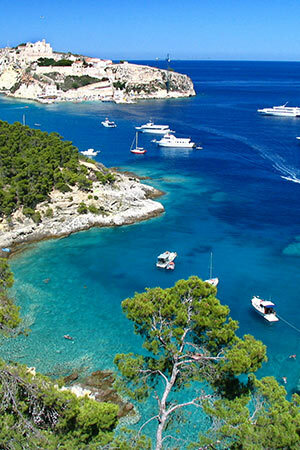 This area of the Puglia is also one of the most rich of different habitats and biodiversities. The reason stands into the morphological shape of the "spur of Italy" and into its history. When, among the lagunas and the mainland, were starting to rise up the Appennines (we are talking about hundreds of millions of years ago), the Gargano there were not already or, well, it was only an island, separated to the continent. 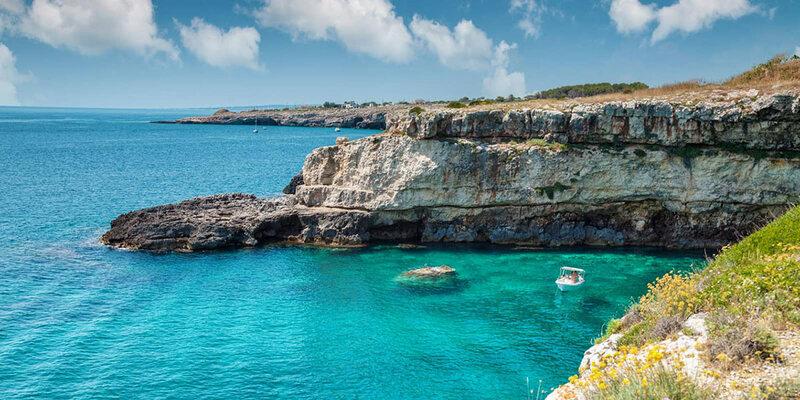 Only in a second time, the promontory connected itself to the mainland, giving life to the typical "spur", but the island roots of the area has the same influenced the environmental evolution, with its green heart, a lot of coastal lakes, islands and a rock desert. It is a rich and different habitat that is so rare in Italy. The ancient puzzle of habitats that are gathered in such a small territory make the Gargano more kind of an island than a mount, that is furthermore only high 1.065 meters with its highest peak, the Calvo mount. One of the most ancient monuments to be visited in Foggia is for sure the Church of the Crosses (for the Foggiani people the "Cappellone delle Croci"). 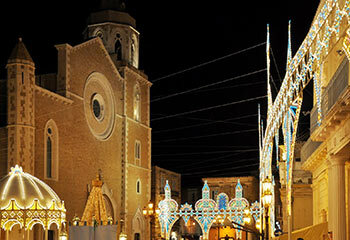 It has been built at the end of the XVII century after a miracle that involved all the population. 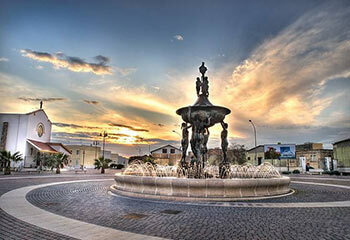 It has been 1693 when a Capuchin monk were sent to Foggia on a mission and in that time there was a catastrophic dryness. Thanks to his prayers it started raining again and during a procession he arrived at a crossroad and he planted seven wood crosses, emblem of the stations of the Via Crucis (seven stations on the outward journey, seven stations on the way back). 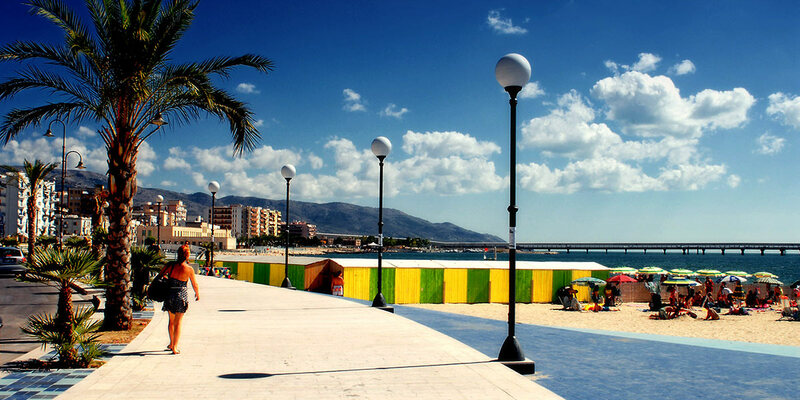 Manfredonia today is a nice maritime destination, a reference point in the geography of the Gargano, whose economy is based on the harbour and tourism activities, because it is an appreciated bathing city by always more people. 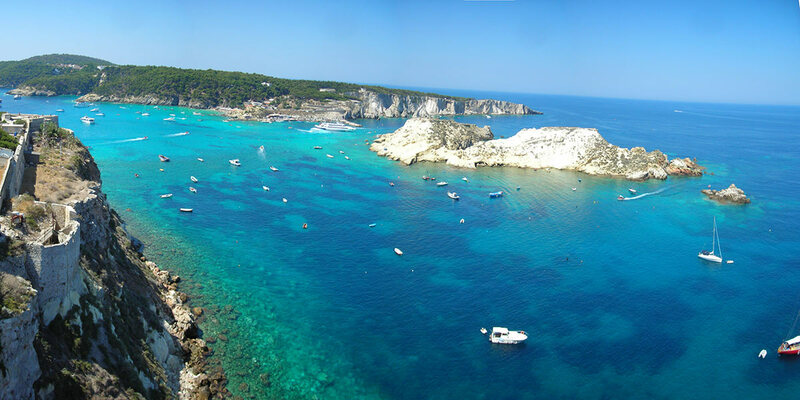 By being so different the habitats of the Gargano, depending on the area, the area in Manfredonia, in the South, has beaches that are mostly sandy, while in the North there are more rocks and cliffs.